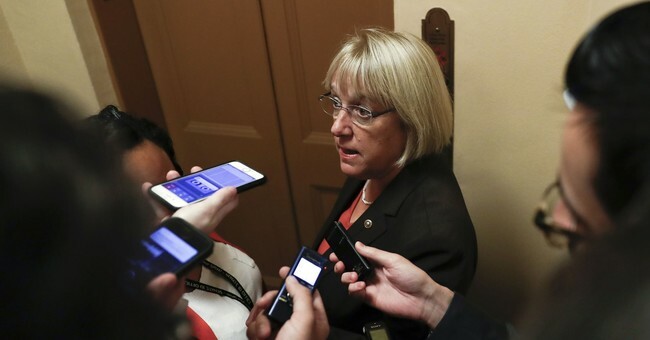 A senior policy adviser to Democratic senator Patty Murray (Wash.) said her office in the U.S. Senate Committee on Health, Education, Labor, and Pensions does "not care about anti-Semitism," according to two people who attended the meeting. During a meeting on November 28 with Sarah N. Stern, a former colleague of Marcus and president of the Endowment for Middle East Truth, a senior adviser to Murray on the HELP committee told Stern the committee does not "care about anti-Semitism in this office." "We don't care about anti-Semitism in this office," Murray's senior adviser said. "We care about transgenders, we care about blacks, we care about Hispanics, we care about gays, we care about lesbians, we care about the disabled." "We don't care about anti-Semitism in this office," he said. Stern's aide Jennifer Dekel confirmed the comments and said she was taking notes during the meeting. She isn’t. Because though intersectionality cloaks itself in the garb of humanism, it takes a Manichaean view of life in which there can only be oppressors and oppressed. To be a Jewish dyke, let alone one who deigns to support Israel, is a categorical impossibility, oppressor and oppressed in the same person. Is that why some of Murray’s aides don’t care about the vicious discrimination that’s inflicted upon some of the most loyal Democrats in the liberal base? Well, when it comes to Mr. Marcus' nomination, he's fighting the anti-Israeli BDS (Boycott, Disinvestment, and Sanctions) movement and leads a pro-Israel group. Yeah, sounds like it has a lot to do with it. It takes a certain nerve to say we care about everyone, except those who are facing discrimination because they’re Jewish. Bravo, left-wingers. Bra-vo.